As I write this, a dull headache presses into the space above my left eye. The same headache visited me yesterday, and the day before that. In fact, for most of the last year, I’ve had a headache every day, all day. Though now it’s manageable—I can write with it, after all—for the previous twelve months, my headaches took over my life. They were all I thought about. They became who I was. On the good days, the pain was just a mild throbbing sensation. Other times, there was a general sense of an ever-tightening pressure. On the days when I couldn’t get out of bed, it felt like someone was tightening screws into the sides of my head and pounding a hammer above my left eye. The pain never went away, unless I was asleep. So I slept a lot, as much as my body would let me. I’ve always gotten more headaches than the average person—the mild, treat-with-an-over-the counter-pain-medication-and-they’ll-go-away type. But following a drawn-out viral infection that left me sneezing and feeling run down for weeks, I started to get headaches every day, and they were more painful than usual. A few months later, on top of those daily headaches, I developed occipital neuralgia, a distinct type of headache that causes electric-shock-like pain in the upper neck and behind the ears. Eventually, I became extremely sensitive to light. At that point my doctor suspected my condition had transformed into a daily migraine (with a side order of occipital neuralgia). As the pain varied, so did my moods and reactions to it. When the pain was at its worst, I felt like I would go crazy if I had to deal with it for one more minute. I spent most of one particularly bad month in bed, crying. I worried that I would never get better. I couldn’t think straight, let alone do any of the things I loved, like gardening or hiking with my husband and our dog. I also cut my hours at work. As a result of all these changes, I lost my sense of self—by far the scariest part of being sick. I couldn’t remember who I was or what I liked to do, couldn’t remember talking about anything other than illness and treatments. In those darkest moments, staring at my dog helped. It was as if she, who didn’t need me to say anything or be anyone in particular, could accept this broken-down me even when I couldn’t. I’m finally starting to experience some relief. I’m on a medley of medications, the side effect of which has mostly been severe fatigue. But as annoying as it is to be falling asleep by 9 p.m., I’ll trade that for constant migraines—hands down. I’m also doing physical therapy and getting massages to ease tension in my neck and shoulders. My insurance doesn’t pay for those treatments, but again, not feeling that awful pain is worth the out-of-pocket expense. Find the right doctor. It took me a few tries to find a neurologist I liked and trusted (and who returned my calls between appointments, which is important when you’re starting new medications and have questions once you start taking them). It was then that my headaches started to get better. Have someone to talk to. I was able to talk to my husband about what I was going through. He had a bout of bad back pain a few years ago, so he understood much of my fear and frustration. If I hadn’t had him to talk with, I probably would’ve turned to a support group, either in person or online. Lighten your load. I gave up a lot of the things I did before I got sick. My husband took over just about all our household duties. And as I mentioned, I worked part-time during the worst of things. This can be difficult psychologically, but it can also be necessary. Keep your mind occupied. While I lay in bed, I found podcasts and books on tape to keep me entertained. I also got a tai chi DVD to help me move around a little when I got sick of lying down. A version of this essay was first published in Headache, a Special Health Report from Harvard Health Publishing. This is an excellent resource for headache sufferers. It describes the various types of headaches, their treatments, and self-help and alternative therapies. I am from Canada and wonder if things would be a little different. With this last migriane I lost my sight for 8 days in my left I. I heard that some people can suffer from headaches everyday. I have migranes two to three days a week and then a headahe for the rest of time. My longest migrane was days. I must say, it should be treated as early as possible. That’s to avoid any complications. I agree, you need to find the best doctor or specialist that will take good care of your headache or pain problems. I just read the version of this that was on cnn.com this morning and thought I’d write to tell you I have the same story, almost exactly. I especially understand what you mean about stretches of time with no headaches… feels like I was always planning around the time it takes to suffer headaches during the worst years, though things are thankfully getting better now. I won’t offer advice since like me I am sure you have heard it all. Just wanted to let you know you are not alone. Best of luck to you and thanks for writing this essay! Thanks so much for your note, AW. I am glad to hear you are getting better. May I ask where you saw this article on CNN? A link would be great if you have it. Yeah migraines are very annoying for sure I solved mine by stop smocking. I have 2 friends who are migraineurs and take different medications for their migraine headaches. My migraine headache usually lasts more than a day if i’m not quick enough with my cafergot and painkiller. Really hate it, strong sunlight and heat just triggers it for me. I, like Wendy, suffered from it every month too for six months. Then, a friend advised me to take evening primrose oil which worked! I take one tablet (1000mg) every morning and can still enjoy my coffee! I also experience migraine headaches once in a while and I know that they are extremely difficult to deal with. When you have a headache like that you simply can not function like others: can not work, can not study, etc. I can not even look at the day light – it seems too bright and causes even stronger headache. My remedy for such headaches is having a cup of green tea that relaxes me a little bit and taking an hour nap afterwords. I prefer no to take ibuprofen and other medications since they can cause all kinds of side effects. A good Massage therapy is a great way to relieve the chronic headache that you feel. With the help of a pure kind essential oil. You are a chronic headache pain sufferer if you experience headache pain 25 or more days a month. This pain is far more debilitating than scientists previously thought, according to an Ohio University researcher who is leading a study of 245 chronic headache pain sufferers. 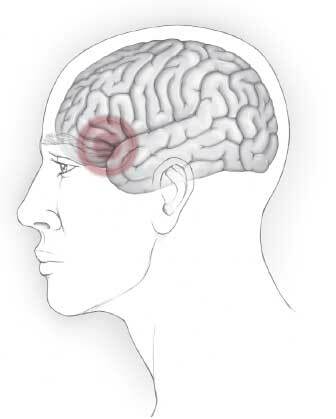 For me,putting deep prolonged pressure on these tight spots will help relieve the headache. The pressure must be precise and sustained for a minimum of 30 to 90 seconds on each muscle spasm I encounter. The suggestions contained in this post are good ones. I have practiced a lot of them myself. I would like to add a non drug help that has proved to be a great relief for me for the past 15 years. I watch what I put at the end of my fork. If the ingredient list is over four or five items, and with words I have no idea what they are — I skip it. When I go out to eat, I stay away from sauces that are probably from a can — most restaurants don’t make sauces in house because it is too time consuming. I eat a big raw salad with the restaurant’s “house” dressing because they DO make up this dressing fresh — normally. After practicing these simple steps, I have found that I do NOT awaken with a very large migraine about 3 a.m. Thanks to this article I was introduced to: “Headache: the Special Health Report from Harvard Health Publishing.” Great resource. I have lived with migraines, as many as 2 or 3 a week for over 40 yrs. I could have been a great actress because working with a migraine and smiling and being cordial, pleasant and doing nutritional counseling like everything was ok was very draining. I used to tell my husband I deserved many Academy Awards UNTIL this past March when I found out through a simple blood test that I’m Gluten Intolerant. I went cold-turkey off of gluten and haven’t had a migraine since. I have had a few minor headaches, but not a migraine. I’m so grateful not to be taking medication when a simple dietary change was all that was necessary. Like you already pointed out, using eye exercises could help harm the headache, also it will help to improve the eyesight. You mentioned hiking as a tool to help to get rid of your headache… As I too suffer from headache often I found that hiking near a cost, where the air is more moist and salty makes a real difference opposed to hiking in dry, higher altitudes i.e. Colorado. I am even considering moving to a place that could provided that more often after we spent 1 month in Maui and I never felt so good.. Thanks for this informative post. I’m glad you are getting physical therapy and love from a great dog! I wonder if daily stretching would also help you with your pain. Maybe you already do it…I find when I drink to much milk I get bad headaches but everyone is different. I find strenuous exercise and a good diet make my headaches go away. Eye exercises could also benefit some headache sufferers. For me, taking 4 deep inhalations of a chinese dried mushroom helps. I got this from my AP. I then wait 10 minutes and take 2 excedrin for migraines and lay down in a darkened room for awhile. Sometimes I must repeat the chinese mushroom smoke but it is easier than taking all the medications that neurologists give out. 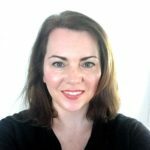 My girlfriend developed CM or CDHA around August last year and has had crippling daily headaches since. None of the treatments have worked yet and her school/work/social life have all been suffering. I don’t know what I can do for her, especially because I am in another city for school. This month has been especially bad and she feels like her life is over as she knows it. I’m glad articles like this pop-up on the web, because even if her life is over as she currently knows it, there is still a life ahead of her. Thanks for your comment, boyfriend. It can be hard for those who love headache sufferers. Just try to be patient and stay positive. We do have to curtail our lives a lot during the worst periods of them. But hopefully your girlfriend will figure out how to manage them, even if they don’t go away completely. I feel for both of you. I am sure your support means a lot to her. I feel sad for you but at a early age I have developed Parkinson’s Disease and my doctors are in shook because I am only 46 years old and they told me that it only happen to people in their late 70s and only if it runs in the family but no one in my family has it and when I did the test it came back negative so the doctors can’t tell if its really Parkinson of not. One of the best things that I have found to help with chronic migraines is Medical Marijuana. For me, the indica variety seems to work best, however, as far as different strains go, to each is own. Thank god Michigan has legalized Medical Marijuana through the Michigan Medical Marijuana Act of 2008. Had they not, I never would have come in contact with the fine folks at [URL removed by moderator] and I still would be suffering with relentless migraines. Thank you for your moving account of the physical and emotional pain you have endured. I’m use that it will be difficult for many people to believe, but I have found two new technologies that provide both immediate and cumulative relief for chronic headaches in over 90% of my headache patients. The first is the Biopulser, a pulsing massager invented by a former NASA engineer who became an expert in muscle neurology. He discovered that headaches usually originate in the occipital muscles. His theory is that the tense occipital muscles irritate the occipital nerve, which passes through them. The irritated occipital nerve ends in the center of the skull at the sphenoid sinus, which is connected to the other sinuses, and spreads the headache through the head. Whether this theory is true or not, my clinical experience is that one seven to ten minute treatment with the Biopulser wil reduce headaches by 40 to 100% for one to three days. But then the question must be asked — why are the occipital muscles becoming tense? My experience shows that the answer is that everyone’s spines become pushed forward by everyday trauma — sports, car acciddnts, long computer use. When the head is forward of the spine, the upper traps and neck muscles must all strain to keep the head upright. This tension frequently concentrates in the occipital muscles. 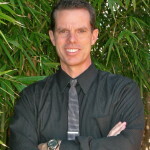 Thank you Michael–I will look into those technologies! I too have experienced these same conditions for about 25 years, since I was a boy. Through years of pain and misdiagnosed symptoms, I finally had a break through had got some answers. I was led to an orthopedics center which seemed to be the right place. It was! The doctor I dealt with listened and asked questions and took the time it needed in order to figure out what was going on with me. I discovered through thorough x rays that I had scoliosis. Injury related scoliosis in the t6 and t7 areas of my spine. I remembered through a series of questions that I had fallen outbid tree and landed on my back when I was about 8. Remembering back now seems like yesterday, because the pain in my head, eyes, neck and shoulders has been so intense since then that it feels like it has never ended. Now with treatment and the proper diet I have found that I can deal with this pain on a daily basis and go on. Over the counter wise, Excederin has beene saving grace. Though taking it’s toll on my insides ( damned if you do or don’t ) though. In the end, finding the right doctor was the key. Had I been taken seriously from the age of when I injured myself, perhaps I could have enjoyed more of my life instead of being held down with the worry of waking up knowing that the pain was just around the corner. Thank you so much for sharing your experience — I’ve known several headache sufferers, and they often felt they had to suffer in silence since they didn’t “look” sick. I’m glad you found a good doctor and that you’re finding some relief…I hope those headache-free times expand and expand and expand. Thanks Robyn. It can be really hard when there’s not something “outside” that makes it obvious to the world that you are sick, like a cast. Sometimes people don’t “get” it, or they “forget” that you’re sick because, like you said, you look fine. I, too, asked my doctor if it could be anything in my house, but I wasn’t allergic to anything at all—not mold, not pollen, none of the normal stuff, so he didn’t think it was likely. And I had my dog for years before I got sick, so I don’t think I can blame her! Sometimes, as unsatisfying as it is, there is just no answer as to why something started when it did. Thanks for reading!